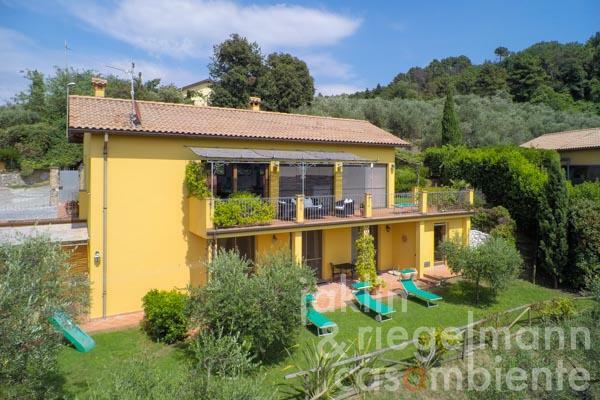 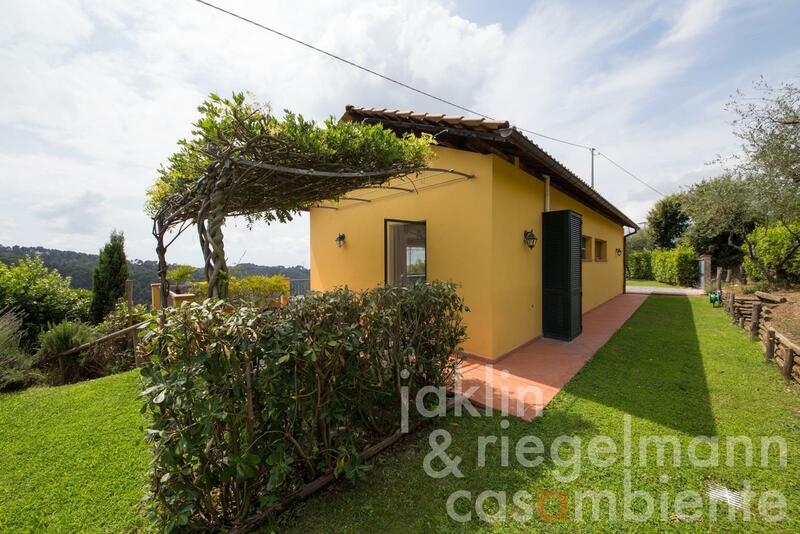 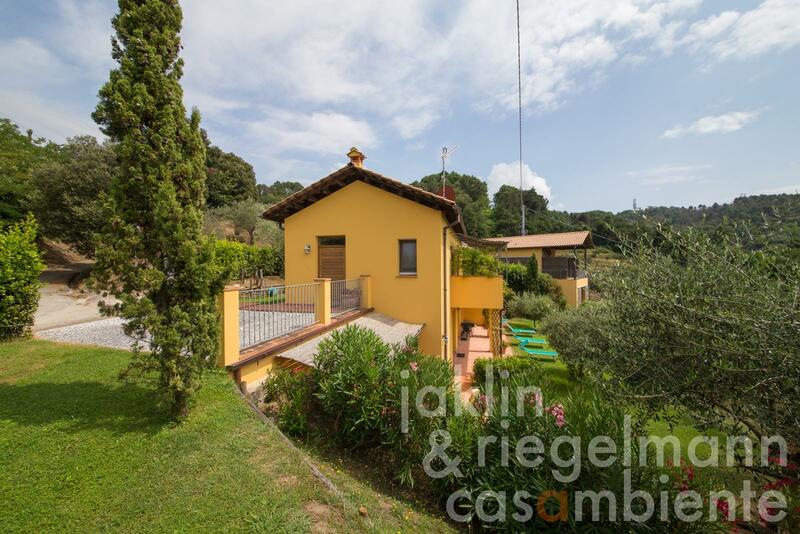 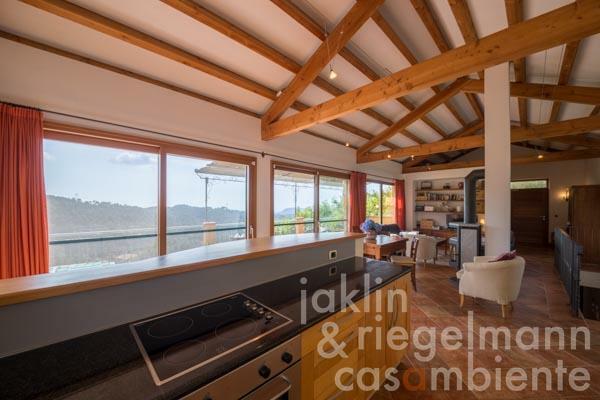 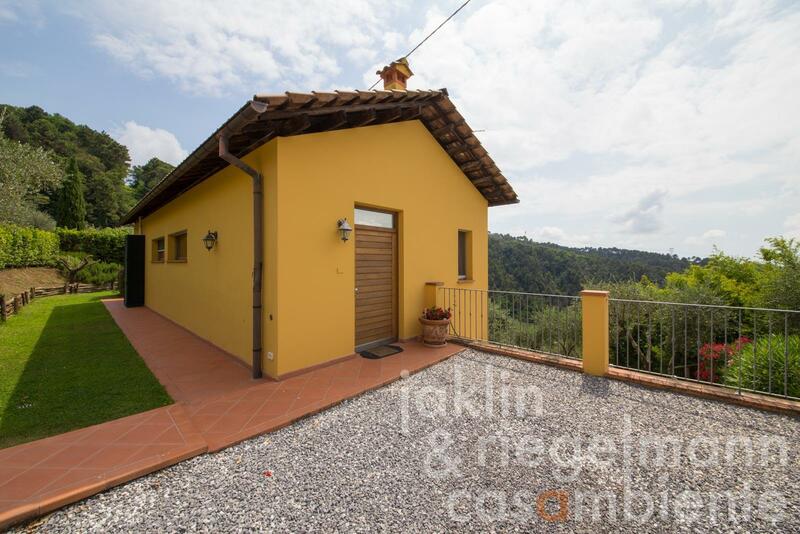 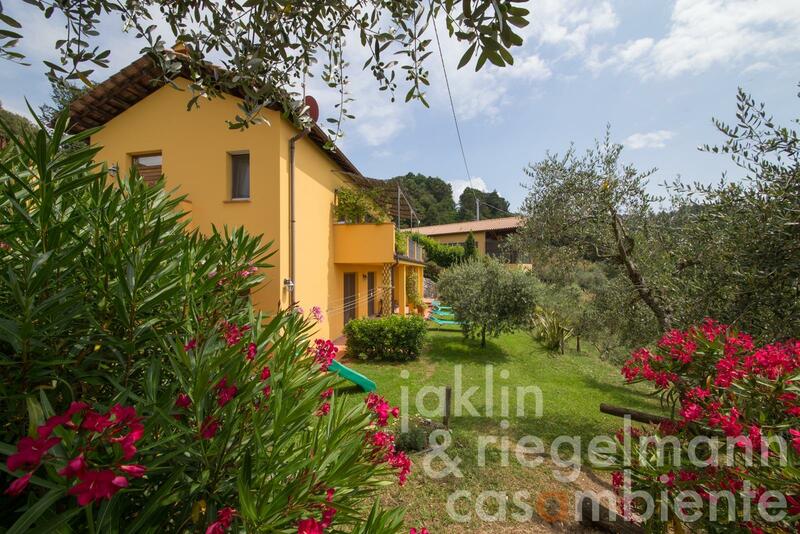 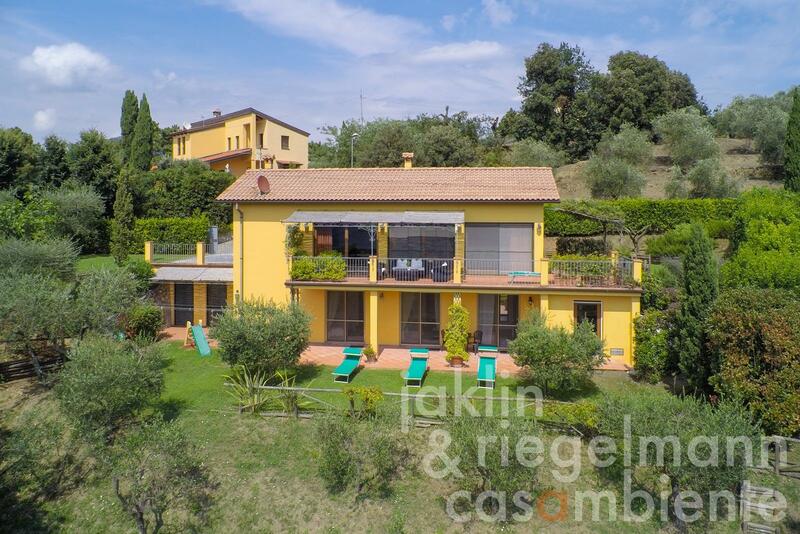 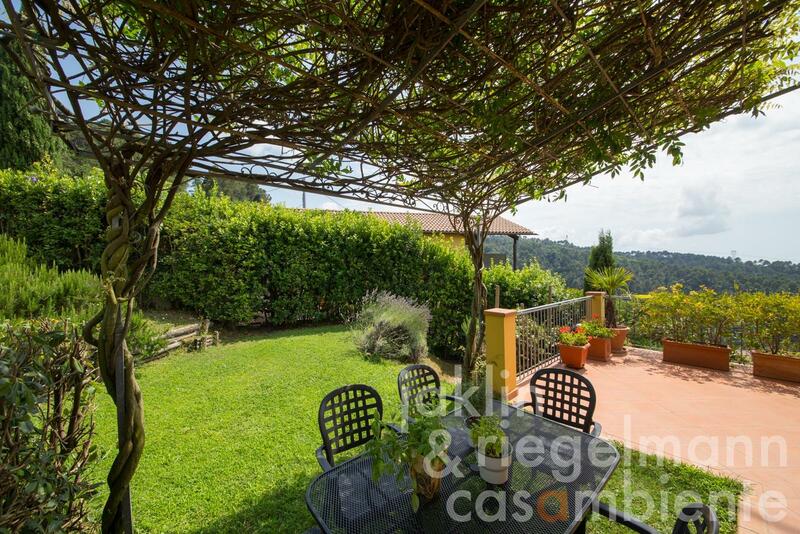 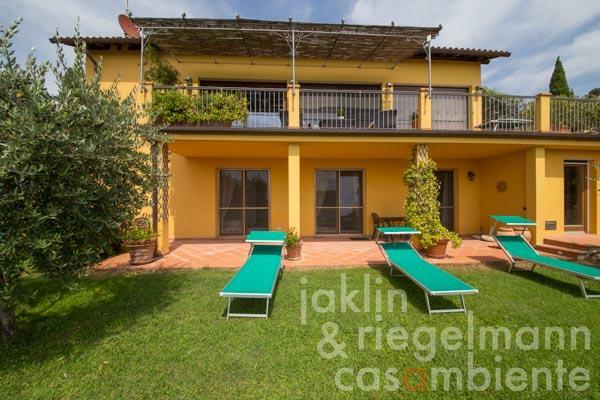 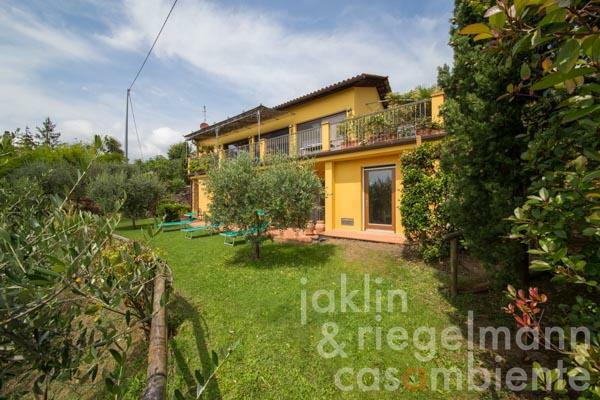 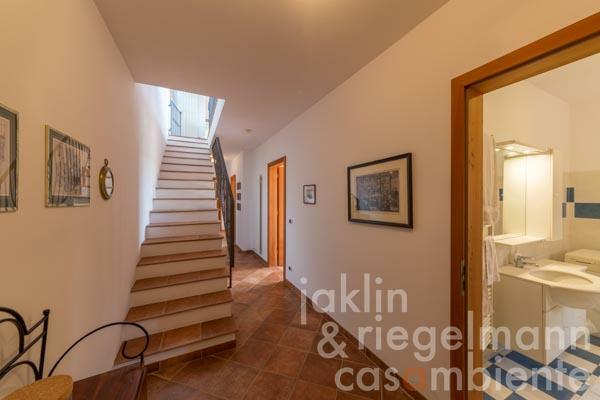 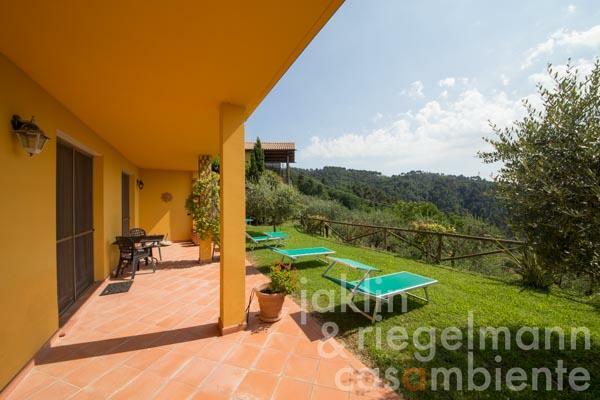 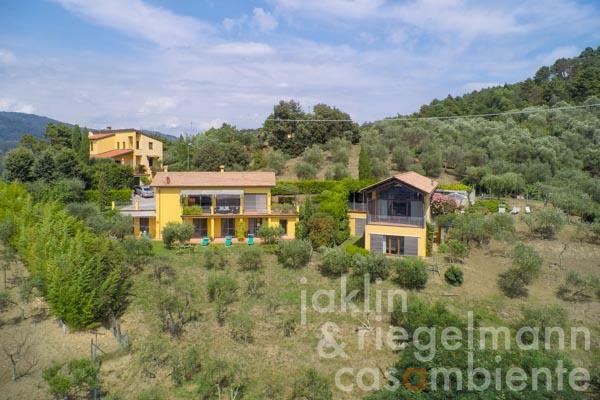 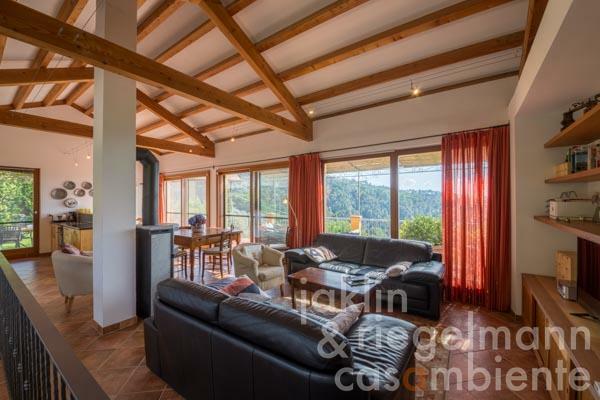 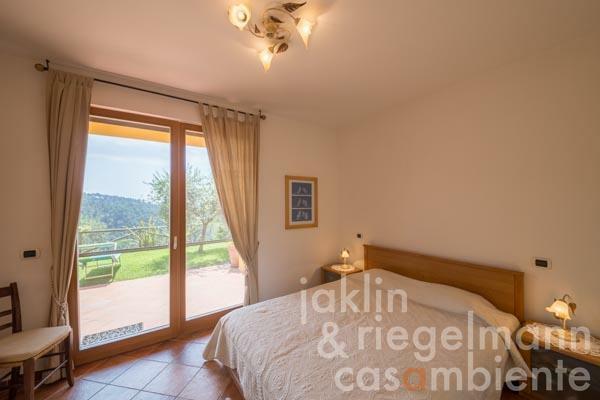 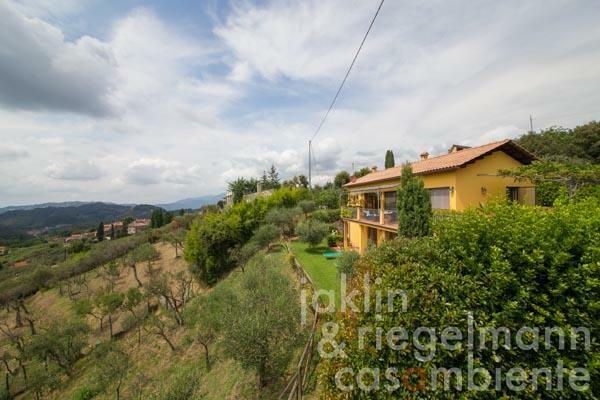 Modern villa for sale with sea view in the hills above Viareggio in Tuscany. 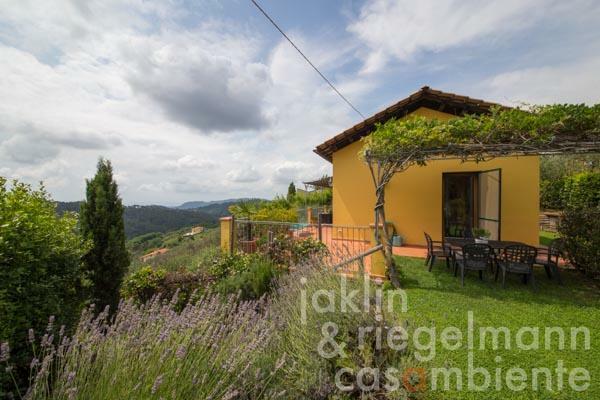 The panoramic view from the house and garden goes across the surrounding rolling hills and onto the sea. 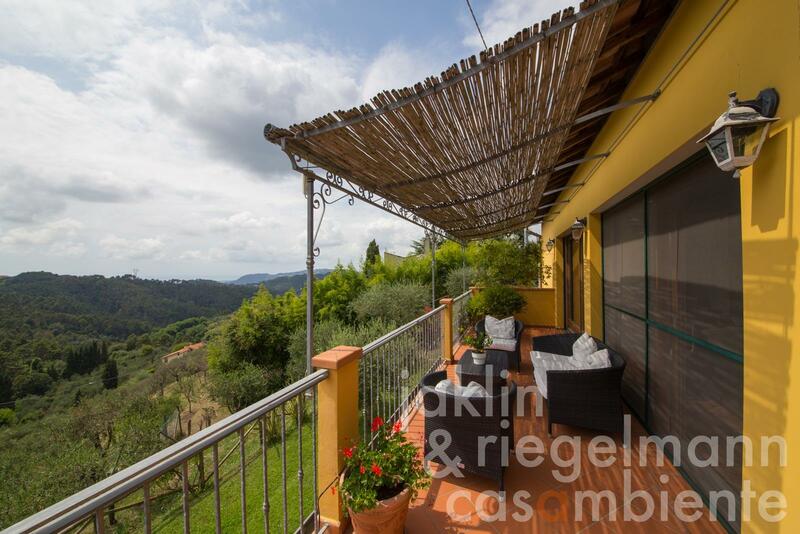 The property is situated on the upper border of a historic hamlet, the access road ends there and ensures privacy and tranquillity. The plot includes a beautiful garden with terraces, olive trees and Mediterranean plants. 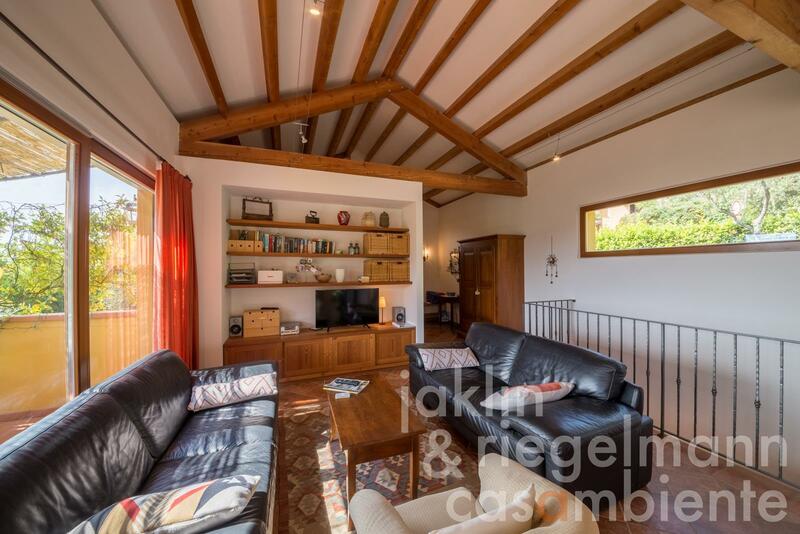 The villa for sale provides on the upper floor an entrance area with storeroom and toilet, a spacious living room with dining area and open kitchen as well as two covered terraces with splendid sea views, which extend over the entire length of the house. 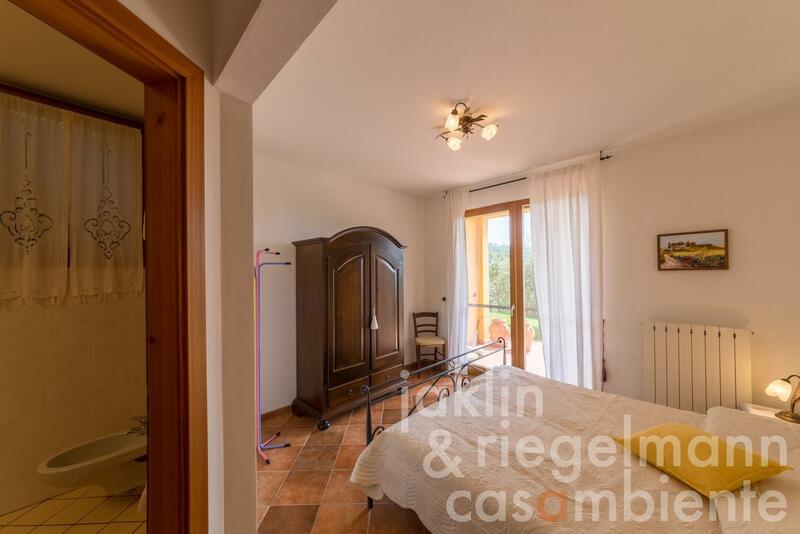 On the lower floor there are two bedrooms with portico in front, two bathrooms, a work or wardrobe room and a 30 m² room with direct access to the garden, officially registered as a cellar. 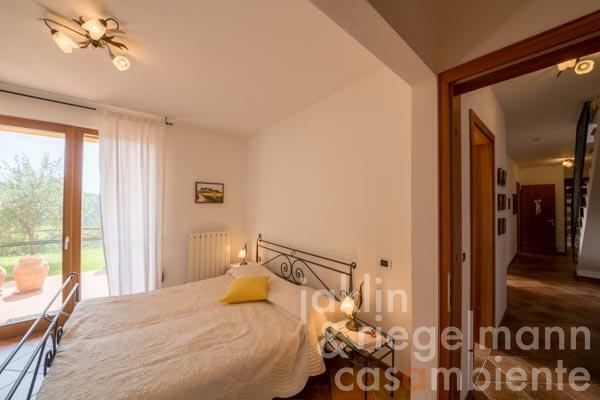 This can be used as a third bedroom with its own bathroom. 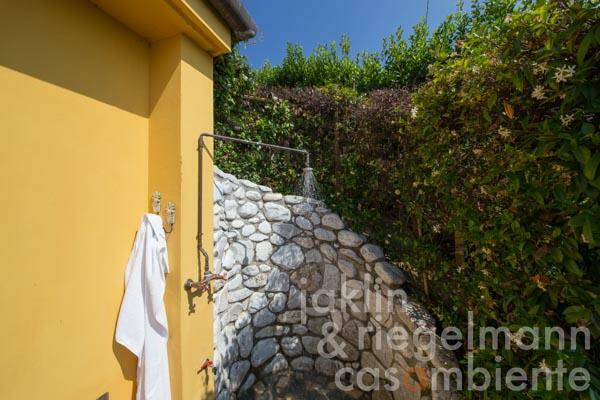 In addition, there is a cellar room with entrance from the garden. 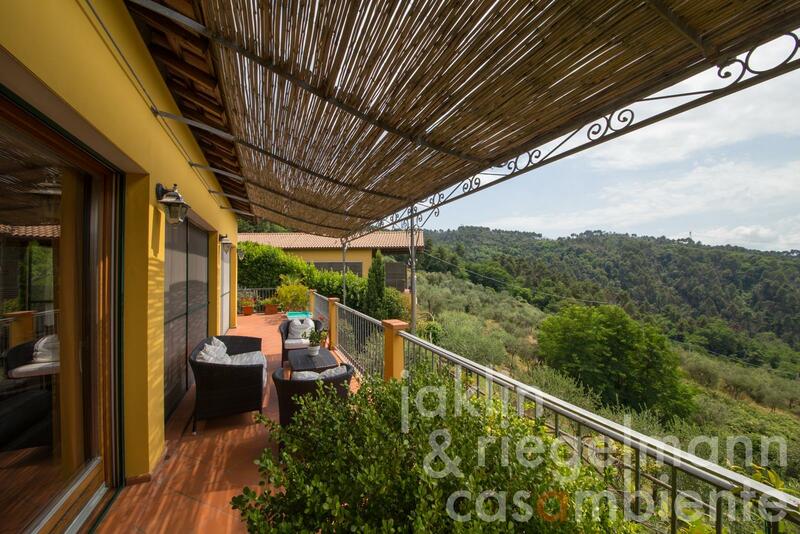 The surrounding property consists of a terraced garden with Mediterranean plants and olive trees. The villa was built in 2002 and is in good condition. 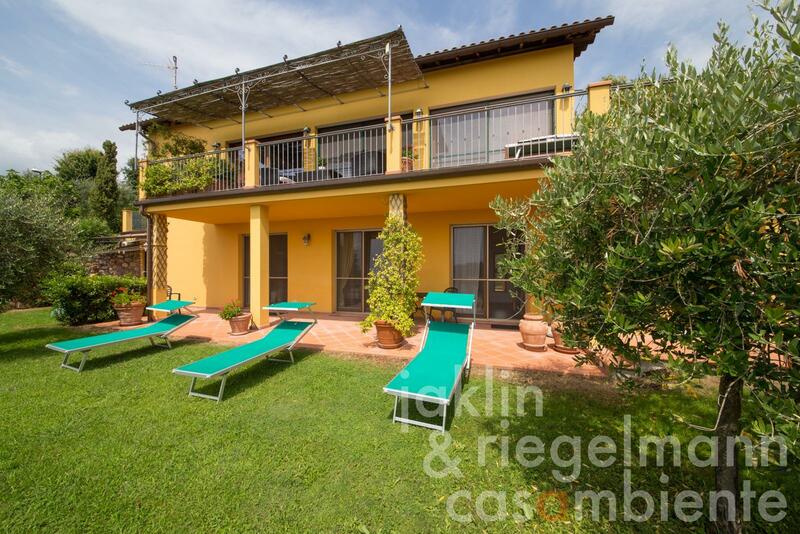 The coastal town of Viareggio and the beaches are about 14 km away. 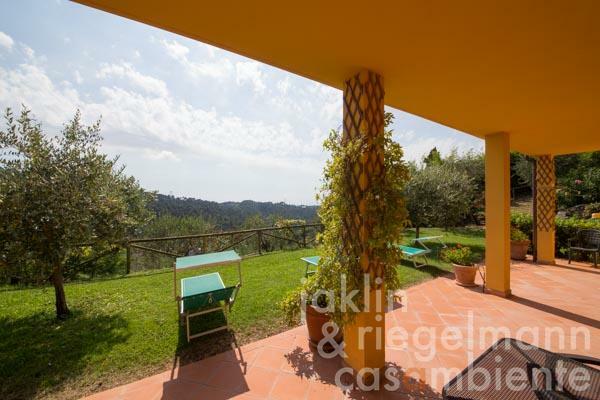 The motorway A11 (Florence-La Spezia) is about 9 km and the famous city of Lucca only about 20 km away. Italy, region Tuscany, province Lucca, municipality Massarosa. 548 m² terraces and garden. 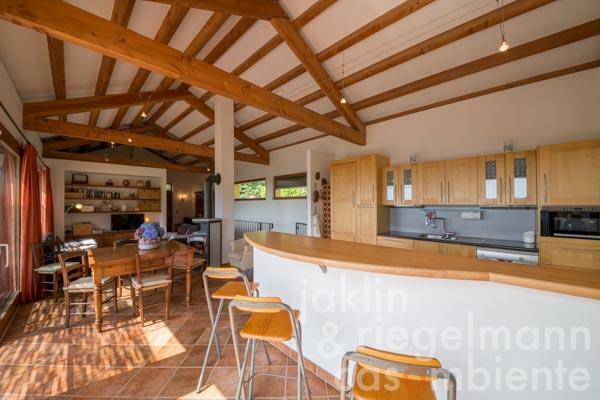 Electricity, mains water, central heating, fireplace, gas connection, broadband internet access, satellite-TV, private parking, terrace, garden.